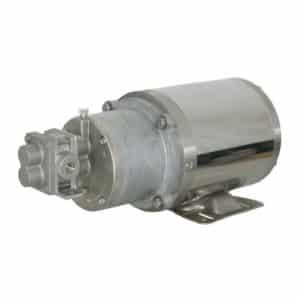 Atlantic Pump offers a selection of pumps manufactured by Pulsafeeder. Pulsafeeder’s ECO Gearchem pump line includes a range of external gear pumps designed to efficiently pump a large variety of process fluids. 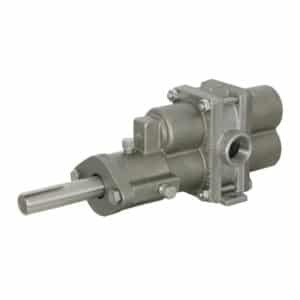 Pulsafeeder’s Isochem pump line encompasses a range of magnetically driven centrifugal pumps and external gear pumps engineered to pump the harshest fluids. Whether you need local inventory or support for Pulsafeeder ECO Gearchem and Isochem pumps, Atlantic Pump can meet your needs. As a factory-trained distributor stocking Pulsafeeder Isochem and ECO Gearchem products, Atlantic Pump can provide knowledgeable service, parts, and pump solutions. Pulsafeeder has been a recognized name in the pumping industry since developing the first hydraulically actuated diaphragm metering pump in 1942. Based in Rochester, New York, Pulsafeeder is known for testing 100% of their products before shipping to ensure the highest quality standards. Pulsafeeder Engineered Products is owned by IDEX. Atlantic Pump distributes Pulsafeeder pumps throughout Maine. Atlantic Pump has factory authorized maintenance facilities for Pulsafeeder products. ECO Gearchem pumps are suitable for a wide variety of applications (both open end and closed loop) including continuous production systems, chemical transfer, cyclic operations, vacuum systems, metering, and pilot plants. Isochem pumps are specified for applications where vacuum service and transfer of expensive, hazardous, or corrosive chemicals is required, for any chemical pH.